Looking for www.siouxfallswoodworking.com? That site is where we are in Sioux Falls at 1108 West Blackhawk across the street from the National Guard. For more information on classes or to send requests for projects that you want completed please contact us via email at browerj@gmail.com. 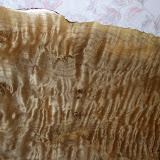 Please take some time to browse around and see some of the incredible wood we provide for signature pieces. You can email inquiries or place an order with Josh at browerj@gmail.com or call his mobile phone at 605.595.5796. He can be reached during the day at his dental office at 712-548-4615 if there is an immediate need. $250 minimum order, except single boards added to the unique wood for sale page. We are an internet based company with many national partners working to bring you the rarest wood found domestically. Resawing is available for single boards up to 68" wide. 2008 Family Thanksgiving Photo with limb cut from Worlds largest Walnut log! Big slabs soon! More under the slabs page.